- Paint a beautiful first bank everyone admires. - It comes complete with 6 paint pots and a paint brush, ready for painting own fun. 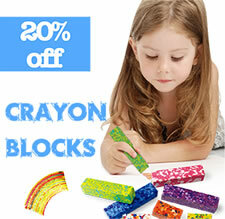 - Will keep kids amused for hours, also develop freely art imagination and creatity. - This makes a great gift for kids, a perfect place to keep their coins.